While our news feeds may be littered with bizarre and pointless world days (stay tuned for the riveting INTERNATIONAL CAPS LOCK DAY, people), the 10th of October couldn’t be more deserving of its calendar slot. World Mental Health Day, established in 1992 for global mental health education, awareness and advocacy against social stigma, is one of the few international holidays worth shouting about. Or in dBs Berlin’s case, dialoguing. Bringing our voice to the World Mental Health Day conversation, culture journalist Anna Codrea-Rado recaps last year’s series of dBs Dialogues mental health panel talks. 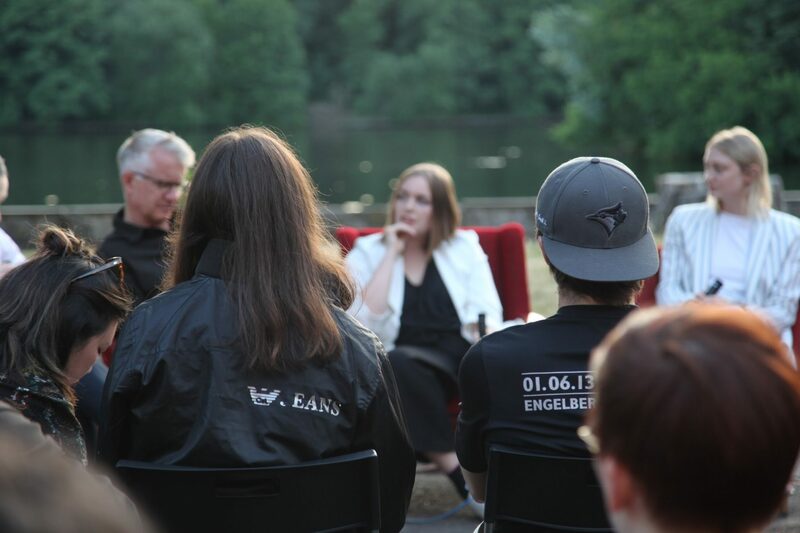 Anna, who moderated our first event and has been following its journey ever since, writes extensively on harm reduction policies and youth culture. Taking the conversation outside of the dBs Berlin community, the one-stop journalistic piece touches on the key aspects of our ongoing discussion on mental health in the music industry. When Andrew Ferguson was in school, he struggled to concentrate. Reading was especially tough because he just couldn’t seem to focus on the text in front of him for long enough to take in what it said. Sitting exams was even worse – it felt like he was paralysed and couldn’t get the answers onto the paper. His teachers blamed him for the poor grades that resulted from all this. “I was told I was stupid,” he says. What Ferguson, who’s now a top electronic music producer who plays under the moniker Nomine, later came to understand that his smarts had nothing to do with his performance at school. It was his mental health. The scale of mental health issues within the creative industries started coming to light in the last few years. The watershed moment was in 2016, when the UK-based music charity Help Musicians UK released the findings of a groundbreaking survey, “Can Music Make You Sick?”. The research found that 71% of respondents said they experienced anxiety and panic attacks. A further 65% reported they had suffered from depression. This need propelled the school to think about what else it could offer students in support of their wellbeing. 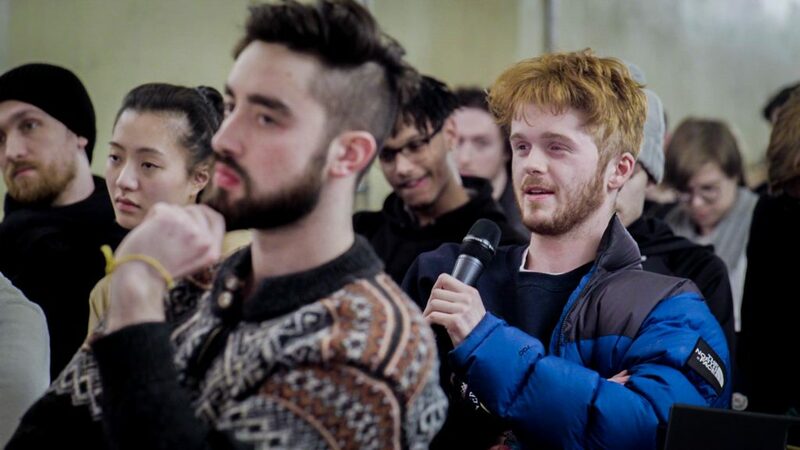 Following a successful run of events last year built on the idea of open dialogue and a safe space to explore the most pressing issues facing emerging artists, staff set their attention on talking about mental health. Last year’s dBs Dialogues programme was a four-part series of panel events on the topics that most educational institutes shy away from talking about. These included drugs and harm reduction, living with others with mental health conditions, the pressures of the industry and the myth of the creative genius. As one of the most progressive cities in Europe, Berlin is a hub for the creative arts. It’s also a clubbing mecca. People come from far and wide to party all weekend in a city where pretty much anything goes. This laidback attitude to late-night antics can take its toll. The UK-based mental health charity Mind says on its website that all drugs have some kind of effect on your mental health. They also say that if you have a history of poor mental health, you may be more likely to experience negative effects with illegal drugs. A survey of dBs Berlin students from earlier this year about harm reduction awareness found that 90% of the respondents had taken recreational drugs. Nearly all the survey respondents said they would like to see drug testing stations in clubs in Berlin. Only half, however, feel safe approaching club staff if they needed help. 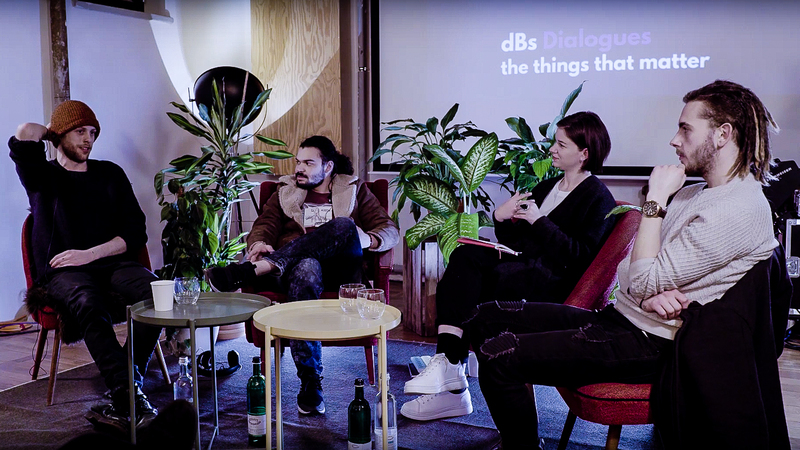 Aware of the scale of the issue, dBs Berlin kicked off the 2018 dBs Dialogues series with a frank discussion about drugs and harm reduction. 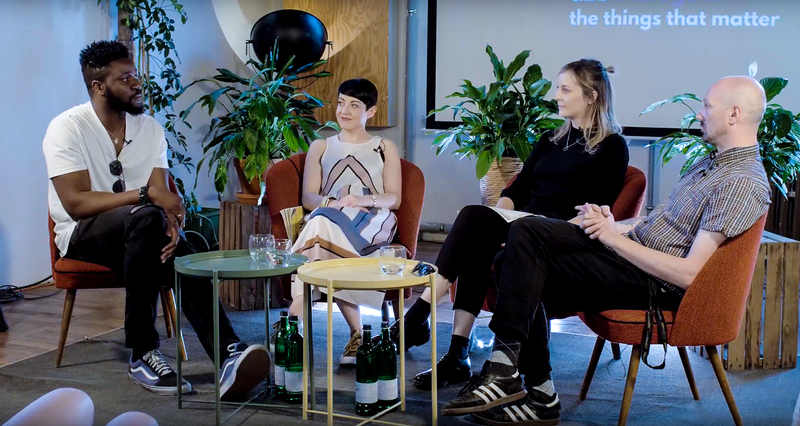 Panelists talked openly about the Berlin clubbing scene, when partying becomes a problem, and what the wider music community can do to help foster better conversations around drug use. One of the issues raised during the session was the pressure burgeoning artists can feel to go out because, for them, clubbing is part of the lifestyle. As a touring artist, Ferguson says there’s a big difference between partying and the professional side of nightlife. 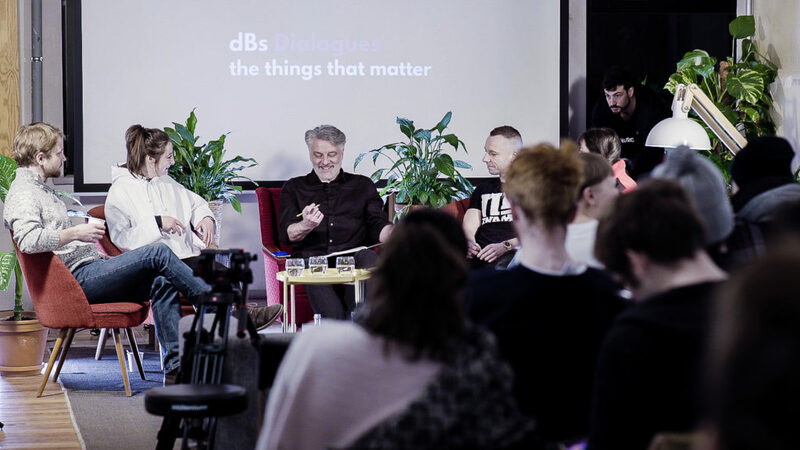 A theme the dBs Dialogues series kept returning to was the need for creative professionals to practise self-care. Mind advocates the use of self-care techniques and lifestyle changes in order to help manage the symptoms of mental health problems. The charity says they may help prevent some problems from developing or getting worse. Taking care of yourself is the first step on a journey to maintaining good mental health hygiene. In the dBs Dialogues discussion on living with others, the analogy was used of putting one’s own oxygen mask on first as an example of how it’s important to look after one’s own needs before helping others. For the students who do need help, there are services available to them at dBs Berlin. The school offers an English-language Skype counselling service and is able to assist students in finding local mental health treatment. As of this academic year, students also have access to one-on-one counselling services with a music industry-experienced professional. “Having someone who is not just a trained counsellor but who also has in-depth knowledge of the pressures of the music industry is hugely beneficial for providing guidance for the students,” Deans says. With a student body made up from all corners of the globe, community is a top priority. “It’s being together and supportive, building networks and friendships, having people there for you when you’re struggling,” Puttick says. Over the last few years, a number of high-profile artists opened up about their mental health struggles. Last year, UK-based producer Ben Pearce wrote a personal essay about his struggle with depression. Dubstep producer Benga spoke out about being diagnosed with bipolar disorder. And DJs have talked about the pressures of touring on their mental wellbeing. This starts with education. Any university experience should be a safe testing ground preparing its students for the working world. For the creative arts industries, this means getting students ready for the rigours of a rapidly changing industry in which new opportunities are opening up all the time. Technology has thrown the music industry wide open, as streaming platforms and cloud-based production tools have democratised who gets to become a musician. While on the one hand this means access to the music industry is more open than ever, the competition is also more fierce. Increasingly, budding producers and performers need to have a business mind in order to navigate what is becoming an industry in which a DIY attitude can get you ahead. “Professionalising speaking, what you do as a creative entrepreneur actually will alleviate some of the stress that can take its toll,” Brown from Help Musicians says. A key finding of the charity’s survey was that unsociable hours and irregular employment can cause stress for musicians that may result in mental health concerns. As experts now agree that money worries are often linked to mental health, taking proactive steps to look after one’s finances can be a great help. “It’s important to plan your time between making music in the studio and then making sure that you leave time for the business side – for promotions, for connecting with people,” Brown says. Follow Anna Codrea-Rado on Twitter, Instagram, Facebook and her website. Stay tuned for the next dBs Dialogues series, kicking off in the new semester. In the meantime, read our interview with the creator Hannah Deans about how to be bold in your expression of self-care.